Q1. What is the Service program for Mate10 lite? A- Free Screen damage warranty for six months. One time only. D- Free Device Hygiene service. One time only. E- Huawei flex drop off service. Q2. How can I get benefited from this service program? A2. This service program is free of charge offer from Huawei in the period between 1st of November till 31st of March 2018, hence any customer purchased Mate10 lite within this period can call Huawei call center at 8001220888 and register in the in the Mate10 lite service Program. Q3. Where can I get Mate10 lite services program services dome? A3. You can get the damaged screen replacement in one Huawei Authorized service centers across Kingdom (Kindly contact Huawei call center 8001220888 to know the nearest service center to you). If there is no Service center in your city Huawei will offer you Huawei flex service in which you will be able to drop the device in any of the 300+ collection point available across kingdom. Q4. What will happened to the warranty if I benefitted from the screen damage warranty? A4. Normal warranty terms and conditions will continue even after getting the benefit of the screen damage warranty. Q5. I bought Mate10 lite before announcing the service program, can I register and benefit from in the service program? A5. 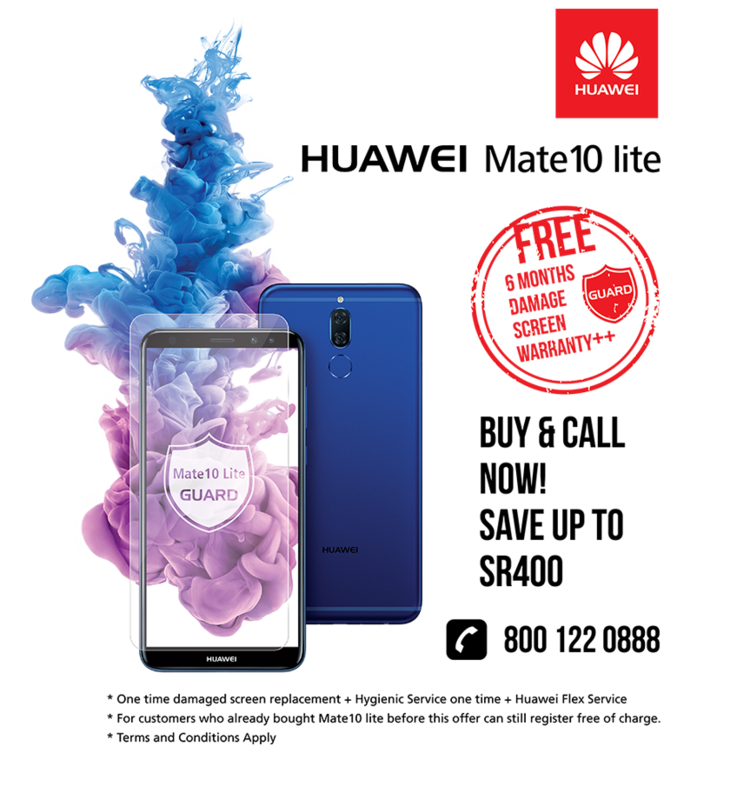 Yes you can, as far you purchase the Mate10 lite with Huawei Saudi warranty from 1st of November you can benefit by calling Huawei call center at 8001220888 and register in the service program free of charge.